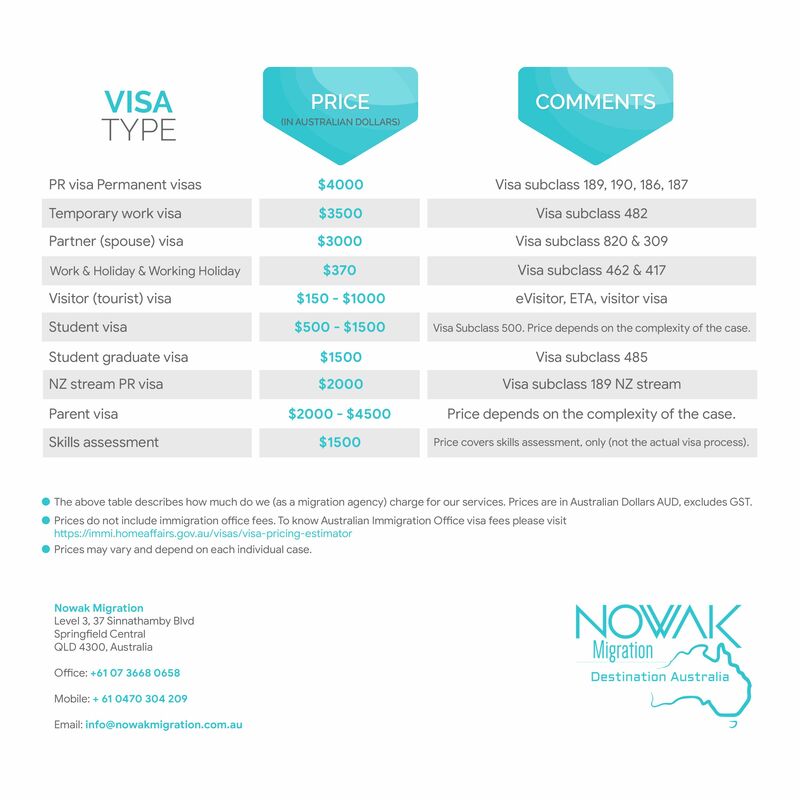 ⇒ The above table describes how much do we (as a migration agency) charge for our services. Prices are in Australian Dollars AUD, excludes GST. ⇒ Prices may vary and depend on each individual case. ⇒ Contact us if the service you are after is not listed above.